During our recent week of Italian holiday-making, one of our party of family and friends was reading ravenously through the latest Frances Mayes. As a filler-inner, Frances is the American university professor, poet and writer now most-known for the memoirs that document her delving and settling into la vita Italiana (started when she bought an old house high in the hills of Cortona in Tuscany some 20 years ago, and made the area her home). Her book Under the Tuscan Sun: At Home in Italy became a bestseller before being made into a film. Mayes in general does a nice line in lifting to the surface elements and aspects of Italian culture that otherwise might remain rather more under the radar. Her latest book is filled with her latest fascination, the Italian artist Luca Signorelli (c. 1440/50 – 1523), who just so happens to be from Cortona. 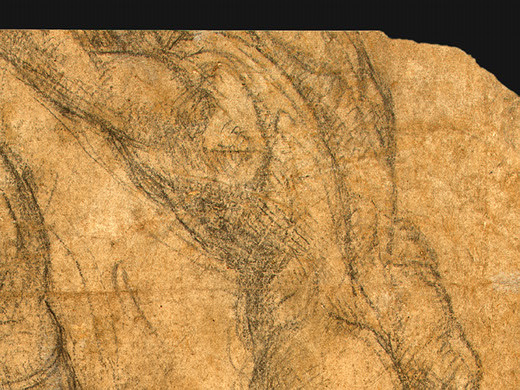 She really rates him as one of the top Renaissance painters, so I decided to take a better look at this Luca today. 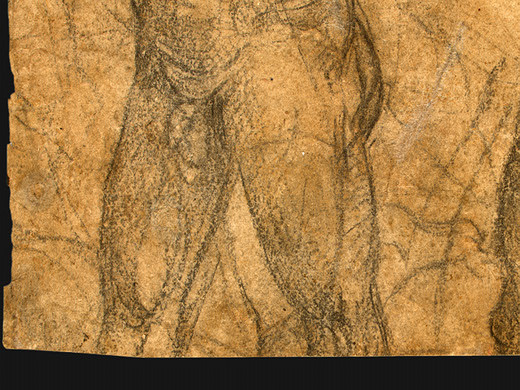 These sketches make crystal clear Signorelli’s profound preoccupation with the male body in prime form. 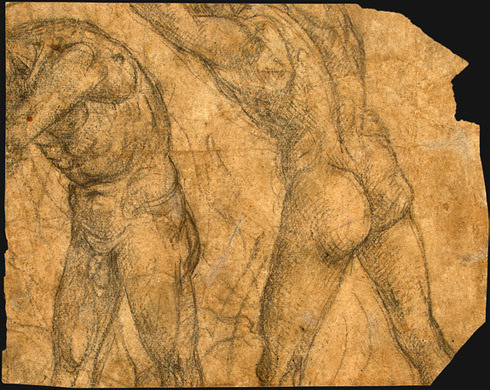 Here is a man who took the interest in anatomy fairly typical of his time to a whole new level of love for muscles, movement, and the well-plumped rear. With him, bodies are infused with life-force and faces are filled with individuality: these are the things that give even small studies such as these visceral energy. Signorelli was a salient influence on Michelangelo (especially when it came to his nudes on the Sistine Chapel ceiling): it could be that the latter drew deep inspiration from Luca’s masterful frescoes in Orvieto Cathedral, not far from Rome. 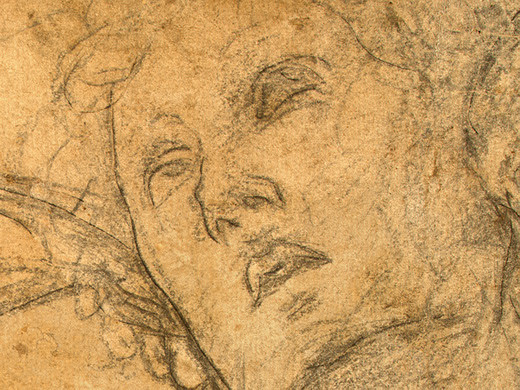 It’s often Signorelli’s fate to rather lose lustre alongside some of the bigger, more blockbuster names of the Renaissance, so it might be that in Mayes he has secured a useful champion. Through her love of her own area of Italy, she’s come across someone who needs to be more praised and more raised for his art (and who will appreciate the cultural recognition she brings). I just got done reading the latest Mayes book and I was struck by her fascination with Signorelli. It certainly has piqued my interest in him. I am an art historian, and Signorelli was never covered in any of the courses I took. After reading her book, I went and read the chapter on him in Vasari. 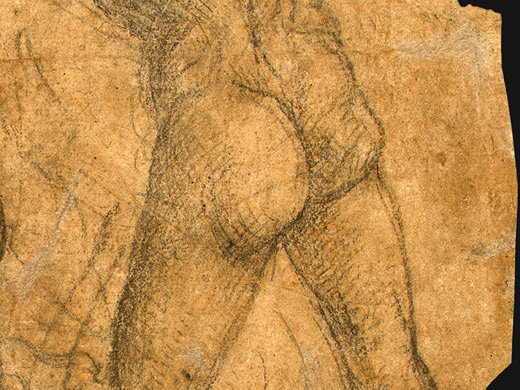 Vasari, too, was a great proponent of his. I don’t know if I will agree with Mayes’ rapturous passages, but at least I will take a good look at Luca!! Thanks for your blog. I very much enjoy it! 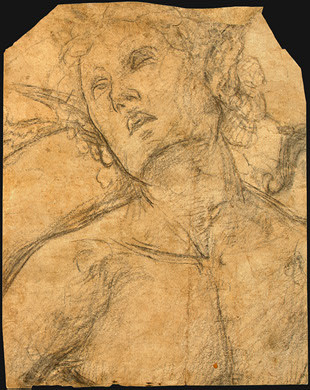 Thank you for showing these sketches by Signorelli of his deceased son. It really moves me that he could do that – I mean undress him and then draw him so he could rremember him. Look at his face….Thanks so much, I really appreciate the article.